We hope to see you at these upcoming events, races, and group runs! Fast Break is celebrating 40 years! Join us for food, live music, drinks, and a good time! For more information check out the event page on Facebook. The rolling course is extremely beautiful and takes you on a tour of historical moments, memorials, and canons. Everyone can participate with distances from the full and half marathon to the Jr. Marathon. Click here to register or for more info! Chattanooga's classic Turkey Trot! This is always a MUST-DO RACE on Thanksgiving day! This is a dog and kid friendly event, there is something for the whole family, and thats what Thanksgiving is all about, right?! To register and for more info, click here! Walk for an awesome cause on Thanksgiving day with your family! 100% of the proceeds of the walk will go towards the Maclellan Shelter for Families. This is an emergency homeless shelter for families. For more info about the walk and to register, click here! As always, we have our weekly group runs! These are for everyone, all levels and abilities. Come run with us! For more info check out our website! Chattanooga is saturated with running races: 5ks, 10ks, charity races, trail runs, dress-up races, "no prize" races, let-your-dog-drag-you races! Some are well executed events, and some are well... not. Fast Break compiled a short list of our favorite Chattanooga races. If you're still figuring out what races to train for in 2017, look no further. These are all stamped with Fast Break's approval for efficient execution, local history, solid connections, fast competition, and, most importantly, a whole lot of fun! So grab a friend, call your sister, put a leash on your dog and sign up for one of them or or ALL of them! You won't be disappointed. This Rock/Creek's event has been a classic Chattanooga trail race since 2001. With Chattanooga's unreliable spring weather forecast, you never know what temperature of race this will be! The course is absolutely GORGeous, but extremely challenging with it's single track course through Mullens Cove loop at Prentice Cooper State Forest. This year is the 49th running of the Chickamauga Chase, which is the 2nd longest-running road race in the Chattanooga Track Clubs repertoire. This race offers a variety of distances from a 5k to a 15K road race, plus an 8 mile trail race. For all the littles ones tagging along, there is also a Kiddie K! Experience Chattanooga's history on this course that offers historical scenic views through Civil War battlefields. 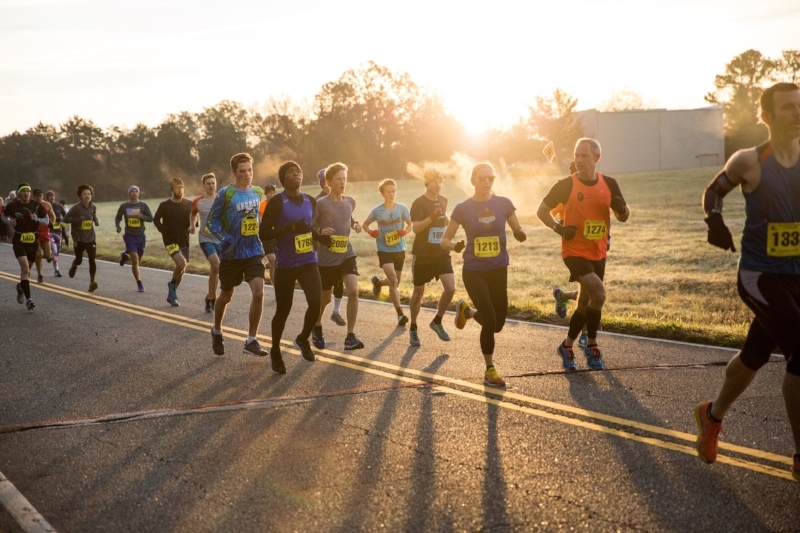 The Chattanooga Chase is the oldest road race in Tennessee! This year will be the 50th running. The Chase features a rewarding course through the scenic hills of North Chattanooga. The fast 1 mile race is a great option to work on your mile time while the 8k is challenging and hilly! Top 50 finishers win a special edition Top 50 Finishers shirt! After the race, sponsors provide food and beverages to make for one fun Memorial Day bash. Bring your family, and even your dog! This race is actually 3 races, on 3 days, on 3 mountains! Day one consists of 18 miles of Raccoon Mountain. Day two is 22 miles on Lookout Mountain. And the grande finale is 20 miles on Signal Mountain. Chattanooga Brewing Co sponsors the nightly celebrations which are a great time of camaraderie with other like-minded and crazy trail runners. This road race is a classic, local 44 year old, heat-biting, humidity-drowning mental and physical battle. The course is an out-and-back of beautiful views and lots and lots of hills. Challenge yourself to conquer the ridge! The Cam Run is very dear to our hearts. 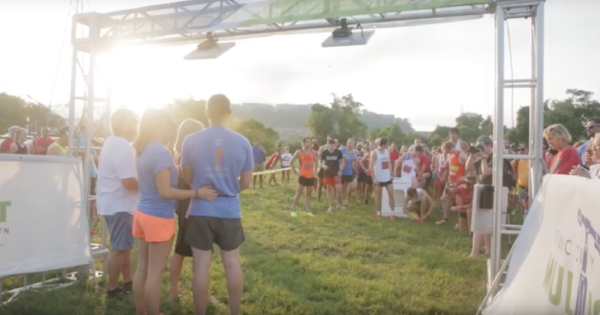 We renamed a race to honor and remember former Fast Break employee, Cameron Bean, who was tragically killed while running on Moccasin Bend Road which is the location of the race. The 5k in the morning is open to everyone! The top 25 male and female winners from the 5k will have the chance to compete in the 1 mile event that evening as a part of the River Gorge Omnium bike race. Come get your PR on one of Tennessee's flattest and fastest courses. This is a no-frills, low cost event. 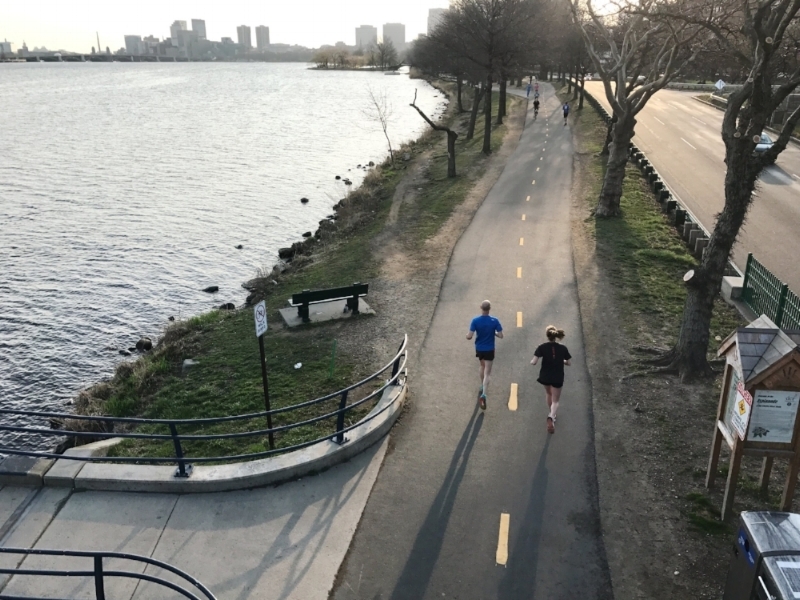 If you're looking for a course to get your 10K PR on, look no further. This out-and-back course is as flat as it gets in Chattanooga. Runners World voted this marathon as one of the most family friendly races! The rolling course is extremely beautiful and takes you on a tour of historical moments, memorials, and canons. Everyone can participate with distances from the full and half marathon to the Jr. Marathon. For the Jr. Marathon, kids log 25.2 miles throughout the year, and run their final momentous mile on race day. There is no other Turkey Trot in Chattanooga like this one. For years this has been a classic Chattanooga Thanksgiving event for the whole family! Burn some calories before the big Turkey Day feast! Proceeds go to the Kidney Foundation of Chattanooga. Experience a different type of race with an age graded start! Each age group has a different start time, based on age, that levels the playing field for a chance to win the golden antlers! The course is at Reflection Riding Arboretum. Each participant is encouraged to bring a white elephant gift to trade. Fun for the whole family. There are SO MANY great races in Chattanooga. Make sure to check out the ones we didn't have room to describe! They are just as great. Click on each one for more info or to register.